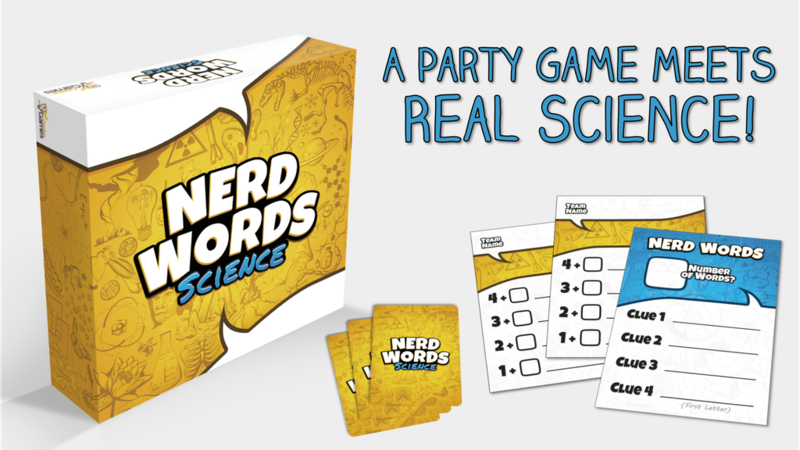 Play it Safe or Bet Big on Science with Nerd Words! A New Game on Kickstarter! Nerd Words looks and feels like Codenames at first glance. Codenames was a great game that has really shed light on the industry in a great way bringing board games closer to mainstream adoption. It's got some nice elements that make it fun for gamers and non-gamers alike. 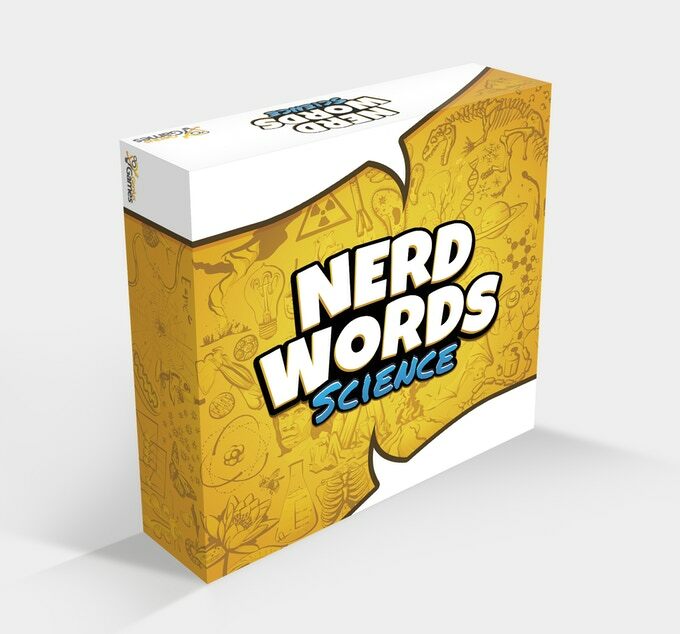 Nerd Words turns that up a notch with a better matching of the mechanics and theme that feel like they were built for each other and additional angle of strategy that I'm looking forward to. I'm ready to jump in and put real stakes on how confident my guess is. I'm already an aggressive style player when it comes to games so I'll take any chance of going big or going home I can get. With the betting mechanic there's always a chance of catching up to the other team or flying ahead by a big margin if I'm willing to take the risk. I love it. The subtle change of the typical way clues are given also feels like a nice step in small innovation in this space. 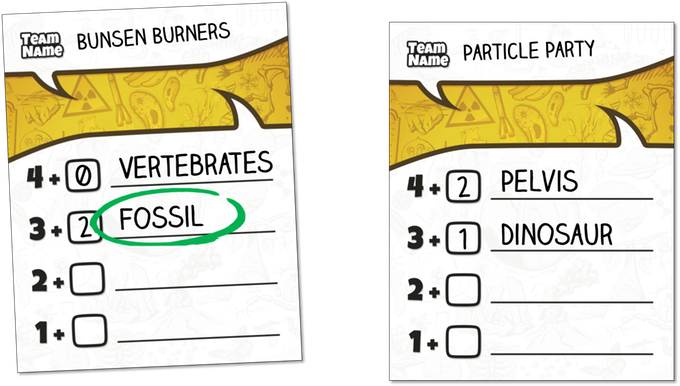 It's an additional point of strategy to think through which letters to start the words with since they will ultimately point to the final word that the teams are trying to guess. For $19 this is a mighty fine way to spend a night with friends. Grab your magnifying glass and explore more of the details on the kickstarter page! 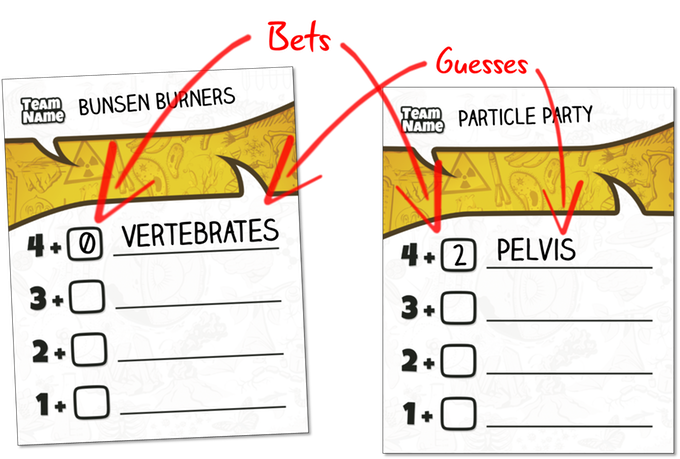 Teams compete to guess science terms based on clues from a different clue giver each round. Each team has 60 seconds to submit a guess and place a bet based upon how confident they are in their guess. The more points you bet, the more you score if your guess is correct - but if you're incorrect, you lose those points. The team with the most points at the end of the game wins! 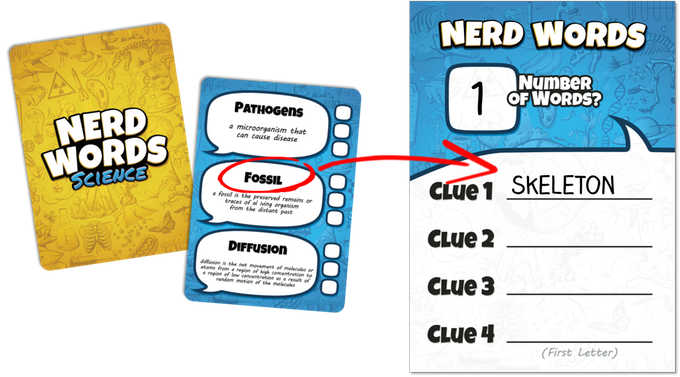 It's fast-paced, deduction-fueled fun, no matter how nerdy (or not) you are! See more about the game on the Kickstarter page! Check it out before it ends on April 11th, 2019!